At Dr. Hertenstein’s office in Santa Rosa, Ca, he works with a range of physical issues that respond well to traditional Chiropractic care in combination with Cranial-Sacral work. He does not use traditional, high velocity “Chiropractic adjustments” on babies. The gentle techniques of Cranial-Sacral work are more suitable, and very effective, for such sensitive and vulnerable little one’s, especially when they have been traumatized on their birth journey. These techniques do not hurt and the work is very gentle. Seldom does the pressure exceed five grams(the weight of a nickel). Dr Hertenstein is one of the most skilled chiropractors and cranial osteopathists I know. I have been a holistic health practitioner for 26 years, a frequent patient of Dr. H, and have referred hundreds of clients to him. My clients have been overwhelmingly thrilled with the results. When my neck goes out, Dr H. is the one who can fix it, and if I start to clench my teeth and have some TMJ, Dennis is the master of cranial work and one session does the trick. I can’t recommend Dr Hertenstein highly enough. Dennis is exceptional at facilitating deep cranial-sacral unwinding and integration. Over many years he has helped me after extensive back labor from birthing, during stages of grief and through other significant experiences. He treated my son in as an infant, and for concussion from athletic activities. I have consistently found that his sensitivity and expertise support the cellular and psycho-spiritual shifts that my family has needed for sustained healing and resiliency. I trust him wholeheartedly. Dr. Hertenstein’s chiropractic work is so effective without being rough. His care after a major car crash was so gentle and yet so helpful. He didn’t rush me into major adjustments but gradually loosened the muscles in my neck, back and hips. I absolutely love his work. Dr. Hertenstein is a miracle worker! He adjusts my back, neck and hips and helps me with sciatica pain and headaches. Afterwards I leave with no pain! Dr. Hertenstein has been in active, full-time, practice since 1972, in both California and Minnesota. 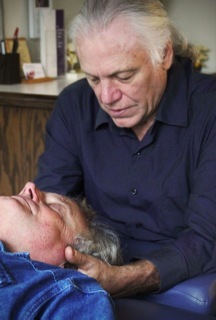 He also has over 40 years experience as a Cranial-Sacral practitioner. Dr. Hertenstein has trained hundreds of Chiropractors, internationally, through board certified Cranial-Sacral trainings. See “About Cranial-Sacral Work” to learn more about receiving Cranial-Sacral work in his Santa Rosa, Ca, office, or go to “Cranial Trainings” to find out more about trainings for Chiropractors and other practitioners. 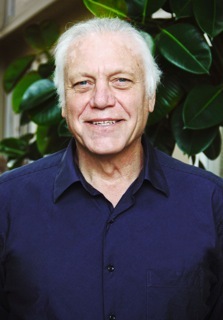 Dr. Hertenstein’s own, personal, birth trauma explorations led him into the study of “Prenatal & Perinatal Psychology and Health” www.birthpsychology.com and he has incorporated these insights into his work. This awareness has contributed to his understanding of how our birth journey can impact our lives. There is good international and interdisciplinary research showing how imprints from birth experiences may relate to lifelong emotional and physical health issues. Cranial-Sacral work, in conjunction with “Prenatal and Perinatal Psychology & Health” concepts and insights, constitute a very gentle and powerful therapeutic methodology for helping babies, children and families resolve many birth related issues.